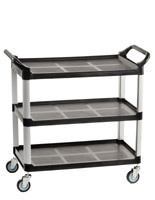 This Commercial Cart has Three Levels of Storage. 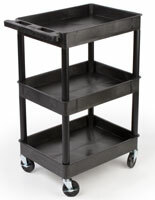 The Retail Store Supply Dolly is Ideal for All Walks of Business. 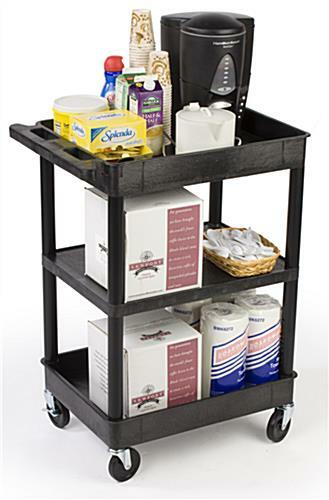 The Commercial Cart is As Useful in A Clothing Store as it is for a Housekeeper in a Hotel. This commercial cart is ideal for janitorial and housekeeping needs. The rolling utility has many different applications. 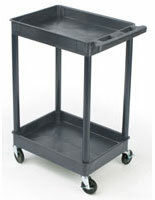 The commercial cart with locking casters is manufactured with durability in mind. The black unit has the ability to meld into any environment. 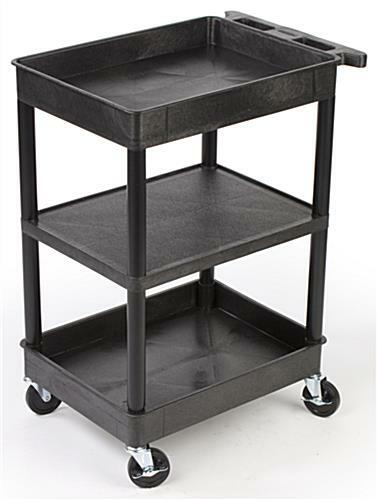 The commercial cart with three shelves has 2-3/4” lips on the top and bottom shelves to produce a tub effect. 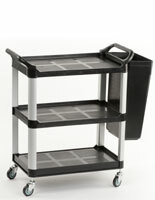 The middle shelf of this utility dolly is a true shelf for easy in and out of goods. Please note: Commercial cart needs two people for assembly. Rubber mallet and hardware necessary for assembly are included.